If you are unhappy with the appearance of your teeth and would like to improve your smile, cosmetic dentistry could be the answer. We have a number of ways of correcting your smile and our most popular treatments are tooth whitening, clear braces, six month smiles, porcelain veneers, crowns, bridgework and cosmetic dentures. 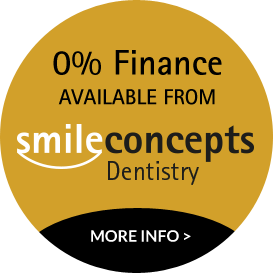 Whether your teeth are crooked, protruding, gapped, discoloured, chipped, worn or just look generally untidy, we can provide the ideal solution to transform your smile. If you are unhappy with your current veneers, crowns or bridgework we can easily replace them for the latest porcelains and transform the appearance so that the end result looks much more natural. If you have a gummy smile we have many ways of reducing the appearance of gum on show, this can be discussed at your consultation.